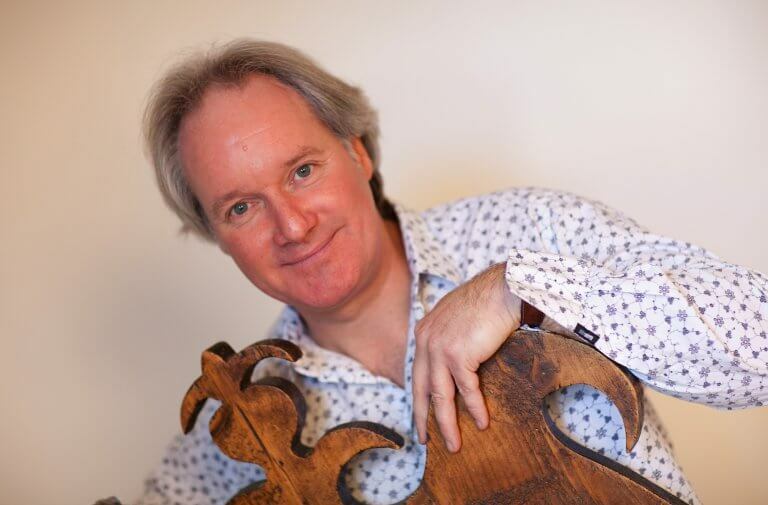 Alasdair Malloy is a creative musician crossing musical boundaries, working as a concert presenter, percussionist, glass harmonica player, programme deviser and arranger. Highly acclaimed for producing unique educational and family concert programmes, Malloy has an extensive collection covering mathematics, science and sports to magic, mystery and pirates for small ensemble through to symphony orchestra. As a concert presenter, Malloy regularly appears in the UK with the Hallé, Ulster Orchestra, City of Birmingham and Bournemouth Symphony Orchestras, the Orchestra of Opera North, Sinfonia Viva, Oxford Philharmonic and Royal Liverpool Philharmonic. In Europe, Malloy has established strong relationships with orchestras such as Orchestre Philharmonique de Strasbourg, Orchestre Philharmonique de Monte-Carlo, Orchestre de Chambre de Paris, Orchestre d’Auvergne and Orchestre National de Bordeaux-Aquitaine. In Asia, Malloy appears regularly with Hong Kong Sinfonietta, Malaysian Philharmonic and Singapore Symphony Orchestra. In China, the première of his highly acclaimed programme Bugs!! won the National Silver Award for the best national performance for children. 2010 saw Malloy’s USA début with the Charlotte Symphony to great acclaim. Principal Percussionist with the BBC Concert Orchestra for over 25 years, and a regular soloist with them, Malloy incorporates percussion-inspired features within his own programmes. Malloy is also active as a percussionist in other genres and regularly arranges, records and performs with many celebrated artists including Jarvis Cocker and Scott Walker. His 20th year of working with Mike Oldfield culminated in his performance at the London 2012 Olympic Games opening ceremony. As the leading British glass harmonica specialist, Malloy has performed at the Concertgebouw in Amsterdam, Aldeburgh Festival, St John’s Smith Square, Kings Place in London and St George’s Bristol. Malloy premiered David Horne’s Vapours and Fireflies with Scottish Chamber Orchestra and Royal Liverpool Philharmonic respectively. In October 2014, Malloy performed at the opening of the ICE Kraków Congress Centre in Krakow, Poland for which the noted Polish film composer Zbigniew Preisner composed a work specifically for the occasion. He is regularly invited to record with acclaimed artists such as Icelandic pop star Björk and can be heard on numerous film soundtracks; two of the Harry Potter films, and the BAFTA & Oscar-winning Hollywood blockbuster Gravity. Having made his BBC Proms solo début in 1998, Malloy has made a number of subsequent appearances there as well as performing at other notable music festivals including Bury St Edmunds, Chester, Henley, Arundel, Lichfield and Risør in Norway. Malloy was awarded an Honorary Doctorate by the University of the West of Scotland in 2017.